It's been a while since my last call for help... A reminder how you can help Sorcerer's Place is in order, since the donations I rely on to keep this site running have been few lately. Please check out this exhaustive list for all the ways you can help support Sorcerer's Place. I hope you will take the time to read through it and see if you are willing to do something to help. My thanks go to all who have donated to SP in the past, or bought anything through the Sorcerer's Place stores. If it weren't for you folks to help me cover the monthly costs, SP probably wouldn't be around any more. Forgotten Realms Books subsection: Paths of Darkness Gift Set (Paths of Darkness) added, The Two Swords (The Hunter's Blades Trilogy) added. Dragonlance Books subsection: Chronicles for Young Readers Gift Set (Chronicles Trilogy - Young Reader Adaptation) added, The Dragon Well (The New Adventures) added, Weasel's Luck (Heroes I Trilogy) new paperback added, Kaz the Minotaur & The Gates of Thorbardin (Heroes II Trilogy) new paperbacks added, Flight of the Fallen (The Linsha Trilogy) added. Robert Jordan Books subsection: New Spring: A Wheel of Time Prequel added. David Gemmell Books subsection: White Wolf & The Swords of Night and Day (Drenai Tales) added. Dungeons & Dragons Books subsection: Riddle in Stone (Knights of the Silver Dragon) added, Thirty Years of Adventure (Dungeons & Dragons General) added. D&D PnP Books subsection: Dungeons & Dragons Basic Game (Core Products) added, Shadows of the Last War (Eberron Material) added, Aberrations Booster Pack (D&D Miniatures) added, d20 Future and Dungeons & Dragons Dice (Various Accessories) added. Miscellaneous Books subsection: Secret of the Spiritkeeper (Knights of the Silver Dragon) added. Message Boards subsection: Forum listing updated to reflect the recent changes; only forum categories are listed now. Related Links subsection: Home pages of the upcoming D&D games added. Fantasy Movies subsection: 5 new movie reviews added. Mac versions of both Neverwinter Nights expansions and Neverwinter Nights Platinum added to our Game Store. Tips, Tricks & Hints subsection: NPC Fighter THAC0 and Damage Tables added. Maps subsection: Baldur's Gate Maps and Command Card added, Sword Coast Collage Map added. Editors, Hacks & Custom Characters subsection: 1 voice pack added. Editors, Hacks & Custom Characters subsection: BG1/PS:T Max HP on Level Up hack added. Walkthroughs & Guides subsection: Don Chan's Icewind Dale FAQ/Walkthrough updated. Editors, Hacks & Custom Characters subsection: 1 mod added. Tips, Tricks & Hints subsection: BG2: SoA NPC List updated, Secrets of Journals updated, Chris Lee's Thief Guide updated, Orim's Guide to Druids (SoA) added. Editors, Hacks & Custom Characters subsection: BG2 SuperScripts updated, SoA/ToB Free Alignment hack added, TDD Kit Removal hack added, Infinity Engine Savegame Editor added, 2 mods added/updated, 1 portrait pack added, 1 voice pack added, 1 mod link added. Editors, Hacks & Custom Characters subsection: Improved Initiative Workaround added, 1 portrait pack added. Walkthroughs & Guides subsection: 1 walkthrough updated. Tips, Tricks & Hints subsection: An Introduction To Persistent Worlds added, 3 guides updated, 1 guide added, Neverwinter Nights Technical FAQ updated. Modules subsection: IGN Insider Contest: Hordes of the Underdark Post-Modules added. Removed a number of old mods. Editors, Hacks & Tweaks subsection: New CEP Races: Wemic & Brownie added, Quicksave Guard added. Subsection #7: 3 new additions. Walkthroughs & Guides subsection: ToEE Walkthrough updated. Editors, Hacks & Tweaks subsection: 1 trainer updated, Level Cap Remover added. Tips, Tricks & Hints subsection: The Great Book of Baldur's Gate and Tales of the Sword Coast updated. Editors, Hacks & Custom Characters subsection: The Gray Clan mod added. Tips, Tricks & Hints subsection: The Greater Glabrezu in UnderSigil FAQ added. Editors, Hacks & Custom Characters subsection: 1 mod updated, 2 custom characters added. Tips, Tricks & Hints subsection: BG2: SoA Romancing Guide Hungarian translation added, Secrets of Journals updated. Editors, Hacks & Custom Characters subsection: BG2 SuperScripts added, 2 mods/programs updated, 1 portrait pack added, 1 voice pack added, 4 mod links added/updated. Tips, Tricks & Hints subsection: Icewind Dale II English manual added. Editors, Hacks & Custom Characters subsection: IWD2 Unofficial Item/Spell Patch added. Tips, Tricks & Hints subsection: HotU Ranger guide added, NWN Barbarian FAQ updated. Editors, Hacks & Custom Characters subsection: Alternate Combat Animations pack added, 2 prestige class packs added. Subsection #1: 3 new additions. Forgotten Realms Books subsection: Annihilation (R.A. Salvatore's War of the Spider Queen) added, Elminster's Daughter (The Elminster Series) added, Forsaken House (The Last Mythal) added, Venom's Taste (House of Serpents) added, Dawn of Night (Erevis Cale Trilogy) added, Lady of Poison (The Priests) added. Dragonlance Books subsection: Temple of the Dragonslayer & The Dying Kingdom (The New Adventures) added, The Legend of Huma & Stormblade (Heroes I Trilogy) new paperbacks added, Tanis, the Shadow Years (Preludes II Trilogy) new paperback added, Amber and Ashes (The Dark Disciple) added, Search for Power (Dragons from the War of Souls) added, Prisoner of Haven & Wizards' Conclave (The Age of Mortals) added. Terry Pratchett Books subsection: A Hat Full of Sky (Discworld Novels) added, The Art of Discworld (Companions, Guides, Maps and Related Books) added. 3rd Edition D&D Books subsection: Eberron Campaign Setting (Eberron Material) added, Serpent Kingdoms (Forgotten Realms Material) added, Expanded Psionics Handbook, Races of Stone & Planar Handbook (Guidebooks, Handbooks, Sourcebooks) added, Giants of Legend Huge Pack (D&D Miniatures) added, Map Folio Two & Complete Divine (Various Accessories) added. Also, many new sample chapters have been added. Message Boards subsection: Forum listing updated to reflect the recent changes (forum additions, archival, link changes etc.). Tips, Tricks & Hints subsection: The Great Book of Baldur's Gate and Tales of the Sword Coast added. Editors, Hacks & Custom Characters subsection: Claw of Kazgaroth Blur Remover added. 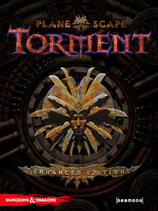 Tips, Tricks & Hints subsection: Stories of Torment added. Tips, Tricks & Hints subsection: Secrets of Journals updated. Editors, Hacks & Custom Characters subsection: 5 mods added/updated, 2 portrait packs added, 4 mod links added. Walkthroughs & Guides subsection: NWN, SoU & HotU Reference Guide updated, 4 new Hordes of the Underdark walkthroughs added. Tips, Tricks & Hints subsection: Guide to the "Ultimate" Melee Character added, Nasher Leaves His Stuff Lying Around added, Shifter FAQ updated. Editors, Hacks & Custom Characters subsection: NWN Character Manager Plus added, Epic Character Builds added, Leto updated. Miscellanea subsection: 1 trailer added. Main: Community Expansion Pack added. Subsection #1: 4 new additions. Editors, Hacks & Custom Characters subsection: 1 portrait pack added. Miscellaneous Books subsection: Harry Potter Hardcover Boxed Set (Books 1-5) added. Tips, Tricks & Hints subsection: PS:T Creature List updated. Tips, Tricks & Hints subsection: BG2: SoA Monster Encyclopaedia updated, Chris Lee's Thief Guide added, BG2: SoA NPC List added, Secrets of Journals updated. Editors, Hacks & Custom Characters subsection: 1 mod added, 1 mod updated, 1 portrait pack added, 1 voice set added, 1 mod link added. Tips, Tricks & Hints subsection: Jukka's Ultimate Powergaming Party FAQ updated. Editors, Hacks & Custom Characters subsection: 1 mod updated, 1 pre-made party added. Walkthroughs & Guides subsection: NWN Expansion Details page updated, NWN, SoU & HotU Reference Guide updated, 1 NWN walkthrough added. Tips, Tricks & Hints subsection: HotU Feats & Spells listing added, Neverwinter Grimoire added, HotU Merchant Guide added, Epic Character Table added, Shifter FAQ added. Editors, Hacks & Custom Characters subsection: Camera Control added, NWN/SoU/HotU Character Creator updated, Prestige Class Editor added, 3 PrC packs added, Access to All Voice Sets (HotU) added, Leto - HotU Compliant added, 1 portrait pack added. Miscellanea subsection: 1 chat log added. Subsection #7: 2 new additions. Tips, Tricks & Hints subsection: ToEE Issues & Solutions added. Editors, Hacks & Custom Characters subsection: 1 mod updated. Forgotten Realms Books subsection: Paths of Darkness Collector's Edition (Paths of Darkness) added, Insurrection paperback & Extinction (R.A. Salvatore's War of the Spider Queen) added, The Yellow Silk (The Rogues) added, The Rage (The Year of Rogue Dragons) added. Dragonlance Books subsection: Hope's Flame & A Dawn of Dragons (Chronicles Trilogy - Young Reader Adaptation) added, The Wizard's Fate (Ergoth Trilogy) added, Tides of Blood (The Minotaur Wars) added. J.R.R. Tolkien Books subsection: The Lord of the Rings: The Two Towers [Extended Version] DVD added. 3rd Edition D&D Books subsection: Creature Collection III: Savage Bestiary (Sword & Sorcery Studious Accessories) added, Map Folio One, Deluxe Player Character Sheets (3.5e), Deluxe Dungeon Master's Screen (3.5e), Ravenloft Player's Handbook, Ravenloft Dungeon Master's Guide (Various Accessories) added. Editors, Hacks & Custom Characters subsection: Baldur's Gate NPC Add-on added. Tips, Tricks & Hints subsection: Rastor's Item Making Tutorial added, BG2: SoA Monster Encyclopaedia added, Scythesong's Guide to Blades added. Editors, Hacks & Custom Characters subsection: 1 mod updated, 3 portrait packs added, 3 mod links added. Editors, Hacks & Custom Characters subsection: 1 pre-made party added. Walkthroughs & Guides subsection: NWN Expansion Details page updated, Hordes of the Underdark official strategy guide added. Tips, Tricks & Hints subsection: NWN/SoU Fighter Character Guide added. Modules subsection: IGN Insider Contest: Hordes of the Underdark Pre-Modules added. Miscellanea subsection: 1 HotU trailer added (previously posted on the SP front page). Tips, Tricks & Hints subsection: ToEE NPC Listing updated. Editors, Hacks & Custom Characters subsection: 1 trainer updated, 1 mod added, 1 portrait pack added. Miscellanea subsection: ToEE Official Patch added, ToEE demo added. Forgotten Realms Books subsection: Prince of Lies & Crucible: The Trial of Cyric the Mad (The Avatar Series) new paperbacks added. Dragonlance Books subsection: Riverwind the Plainsman & Flint the King (Preludes II Trilogy) new paperbacks added. Redemption (The Dhamon Saga) replaced with the paperback version. Icewind Dale: The Ultimate Collection added to our Game Store. A great buy for anyone not yet familiar with the IWD series. Walkthroughs & Guides subsection: Baldur's Gate & Tales of the Sword Coast Area Guides updated. Tips, Tricks & Hints subsection: The Baldur's Gate Soloing Guide added. Tips, Tricks & Hints subsection: Riverwind's Guide to Character Classes added, Baldur's Gate 2 NPC Usage Guide added. Editors, Hacks & Custom Characters subsection: 1 mod listing updated. TeamBG subsection: 1 mod added. Walkthroughs & Guides subsection: NWN, SoU & HotU Reference Guide updated, NWN Expansion Details page updated. Tips, Tricks & Hints subsection: SoU Arcane Archer Character Guide updated. Editors, Hacks & Custom Characters subsection: NWN/SoU Character Creator updated. Subsection #1: 1 new addition. Subsection #7: 1 new addition. Tips, Tricks & Hints subsection: ToEE Turn-based System Guide added, ToEE Cheats added, ToEE NPC Listing added, ToEE Arcane Spells Vendor Listing added. Editors, Hacks & Custom Characters subsection: 1 character editor added, 3 trainers added, 2 portrait packs added. It's been a while since my last call for help... A reminder how you can help Sorcerer's Place is in order, since the donations I rely on to keep this site running have been extremely slim as of late. I have made an exhaustive list of all the ways each and every one of you can help support Sorcerer's Place in one way or another. The link to this support page can be found below the PayPal button on the left side of every page of Sorcerer's Place. I hope you will take the time to read through it and see if you are willing to do something to help. Terry Pratchett Books subsection: The Science of Discworld II: The Globe paperback added. Miscellaneous Books subsection: Barry Trotter and the Unnecessary Sequel added. Fantasy Movies subsection: Fantasy Movies List updated. Hordes of the Underdark and Neverwinter Nights Gold can now be pre-ordered from our Game Store. Editors, Hacks & Custom Characters subsection: The Vault Item Pack added. TeamBG subsection: 1 mod added and 1 mod updated. Tips, Tricks & Hints subsection: PS:T Store List added. Editors, Hacks & Custom Characters subsection: Restoration Pack added. Maps subsection: Player's Maze Map added. Tips, Tricks & Hints subsection: Best Mage & Priest Spells Reference added. Editors, Hacks & Custom Characters subsection: 2 mods added, 8 fan-made mods linked. Tips, Tricks & Hints subsection: Jukka's Ultimate Powergaming Party FAQ added. Walkthroughs & Guides subsection: 3 SoU FAQ/walkthroughs added/updated, NWN, SoU & HotU Reference Guide updated, NWN Expansion Details page updated. Tips, Tricks & Hints subsection: NWN Henchmen FAQ/Reference added, SoU Arcane Archer Character Guide added. Subsection #3: NWN Lexicon updated. Subsection #7: 3 various new additions. Walkthroughs & Guides subsection: Official Strategy Guide added, 1 ToEE Walkthrough added, ToEE Introduction updated. Tips, Tricks & Hints subsection: ToEE Tactical Master tips added. Editors, Hacks & Custom Characters subsection: Importing Custom Portraits tutorial added, Portrait Wizard added, 36 custom portraits added, Co8 Mods added, Hex Editing guide added. Maps subsection: Annotated Hommlet Map added, ToEE Bonus Map added. Miscellanea subsection: ToEE Trial download added, ToEE Walkthrough Video added, ToEE log of the latest chat added. Forgotten Realms Books subsection: The Sapphire Crescent (The Scions of Arrabar) added. Dragonlance Books subsection: The Ni.phpare Lands & To the Gates of Palanthas (Chronicles Trilogy - Young Reader Adaptation) added, Brothers Majere new paperback added, Sacred Fire (The Kingpriest Trilogy) added. Terry Pratchett Books subsection: Monstrous Regiment added. 3rd Edition D&D Books subsection: Core Rulebook Gift Set (3.5e) & Official Roleplaying Soundtrack (Core Products) added, Player's Guide to Faerun (Forgotten Realms Material) added, Arcana Unearthed, The Diamond Throne, DM's Screen and Player's Guide (Sword & Sorcery Studious Accessories) added, Miniatures Handbook, Harbinger, Dragoneye, Archfiends Expansion Packs (Dungeons & Dragons Miniatures) added, Unearthed Arcana & Book of Exalted Deeds (Various Accessories) added. Miscellaneous Books subsection: Return of the Damned (Dungeons & Dragons) added. Baldur's Gate 2 & Throne of Bhaal and Icewind Dale & Heart of Winter new combo packs can now be ordered from our Game Store via Amazon.com. Editors, Hacks & Custom Characters subsection: 1 mod moved after being wrongly placed among the IWD2 stuff with the previous site update. Walkthroughs & Guides subsection: Baldur's Gate II & ToB Walkthrough updated. Tips, Tricks & Hints subsection: Deck of Many Things (ToB) Walkthrough updated. Editors, Hacks & Custom Characters subsection: 3 mods added/updated, 1 portrait pack added, 4 soundsets added, 2 fan-made mods linked. Miscellanea subsection: Character Comparison Table added. Walkthroughs & Guides subsection: Icewind Dale II Walkthrough updated. Walkthroughs & Guides subsection: 3 SoU FAQ/walkthroughs added/updated, NWN Reference Guide updated, NWN Expansion Details page heavily updated with a ton of HotU info. Tips, Tricks & Hints subsection: NWN & SoU Game Secrets updated, NWN Paladin Character Guide added. Editors, Hacks & Custom Characters subsection: Character Sheet Generator added. Miscellanea subsection: Hordes of the Underdark press release added. Subsection #1: Sound Set File Listing added. Subsection #3: Ten Caveats for the Novice Scripter added. Subsection #7: 5 various new additions. Walkthroughs & Guides subsection: ToEE Introduction updated. Miscellanea subsection: ToEE intro movie added, ToEE edited log of the latest chat added. Forgotten Realms Books subsection: The Thousand Orcs paperback added, Dissolution paperback added, The Avatar Series added (replaced old books with new ones and merged the trilogy+sequels, as WoTC is re-releasing it now). Dragonlance Books subsection: The Eve of the Maelstrom (Dragons of a New Age Trilogy) new paperback added. Terry Goodkind Books subsection: Naked Empire added. 3rd Edition D&D Books subsection: Dungeons & Dragons miniatures added. Subsection has been split in two due to size. The Temple of Elemental Evil can now be pre-ordered through 3 Amazon stores via our Game Store. You can also buy the Mac Neverwinter Nights now. Tips, Tricks & Hints subsection: The Pockets To Pick in Baldur's Gate added. Walkthroughs & Guides subsection: BG2 & ToB UHS updated. Tips, Tricks & Hints subsection: Specialist Mage Spell Guide added. Walkthroughs & Guides subsection: IWD2 UHS added. Editors, Hacks & Custom Characters subsection: 1 mod added, 1 editor added, 7 soundsets added, 1 portrait pack added. Tips, Tricks & Hints subsection: Icewind Dale 2 Spells updated. Walkthroughs & Guides subsection: NWN expansion details page updated, 2 SoU FAQ/walkthroughs added, NWN UHS added, NWN Reference Guide updated. Tips, Tricks & Hints subsection: NWN & SoU Game Secrets added, SoU Feats & Spells lists added, NWN Item List added, NWN Character Creation Guide updated, NWN Spell Guide updated. Editors, Hacks & Custom Characters subsection: 3 New Prestige Classes added, Access to All Voicesets (SoU) added, Arwen portrait added, Leto updated. Subsection #1: Prestige Classes tutorial added. Subsection #7: NWN Process Monitor added. Forgotten Realms Books subsection: Legacy of the Drow Gift Set added, some sample chapters added. Dragonlance Books subsection: War of Souls Gift Set added, some sample chapters added. Editors, Hacks & Custom Characters subsection: Baldur's Gate Super Script updated. Editors, Hacks & Custom Characters subsection: 2 mods added. Editors, Hacks & Custom Characters subsection: 7 mods added/updated, 3 soundsets added. Tips, Tricks & Hints subsection: 3 guides/tutorials added, 2 guides updated. Editors, Hacks & Custom Characters subsection: 1 mod added, 8 soundsets added, 2 portrait packs added. Walkthroughs & Guides subsection: NWN expansion details page updated, SoU walkthrough updated, BioWare's Hilltop walkthrough added. Tips, Tricks & Hints subsection: NWN Barbarian FAQ added, NWN Cleric Guide updated. Modules subsection: SoU pre-order module added. Screenshots subsection: 8 screenshots added, 6 pieces of concept art added.